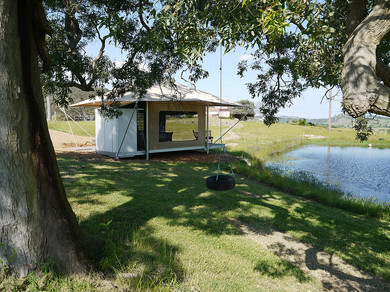 The Donnybrook Billabong Eco Retreat tent sleeps two in luxury with all the sights and sounds of nature including spectacular rural views. 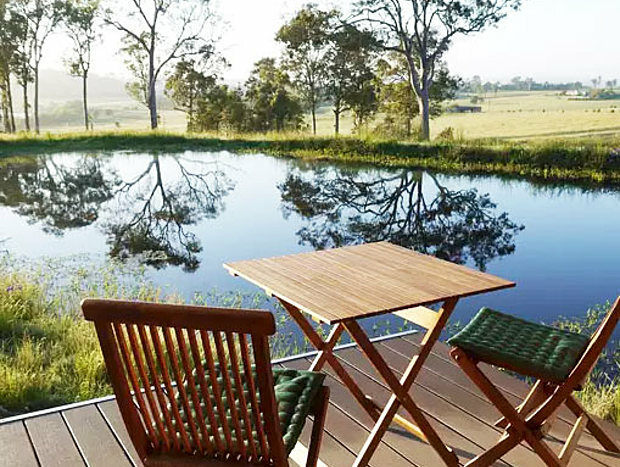 Nestled by a lovely billabong where the local ducks swim, you will find the perfect base to explore the local wineries, art galleries or ride bikes through picturesque country roads. Our 100 acres provides opportunity to walk, kayak down the river, chat with the farm animals, or just sit back, throw a line in the dam and enjoy the view. 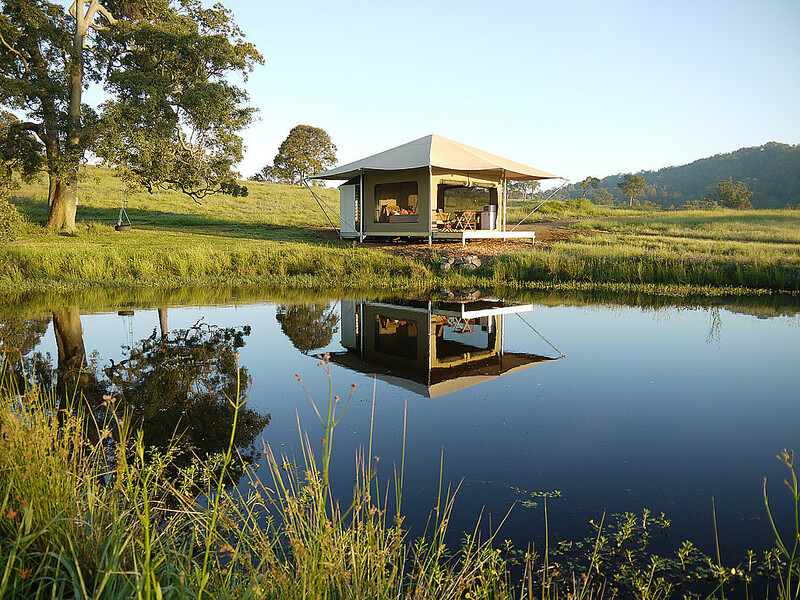 Within 1/2 hour you can be in Paterson, Morpeth, Maitland and lots of Hunter Valley wineries. The Valley boasts a wide range of restaurants and cafes. Activities like hot air ballooning, sky-diving and flying lessons are available for the more adventurous. Cancellation Policy: Receive a full refund (minus service fee) up until 1 week prior to check-in. We love our farm and feel so lucky to live in such a beautiful part of the world. 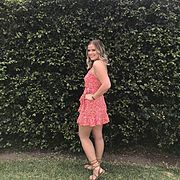 We want to share this sense of tranquility, peace and beauty with you and invite you to Donnybrook for your own opportunity to rest and reconnect with what really matters. Wander around the 100 acres of pastoral and bushland, check out the Hunter River and visit our farm animals (chooks, ducks, goats, and sheep). These are the exclusive natural wonders and outdoor activities within the property boundaries. 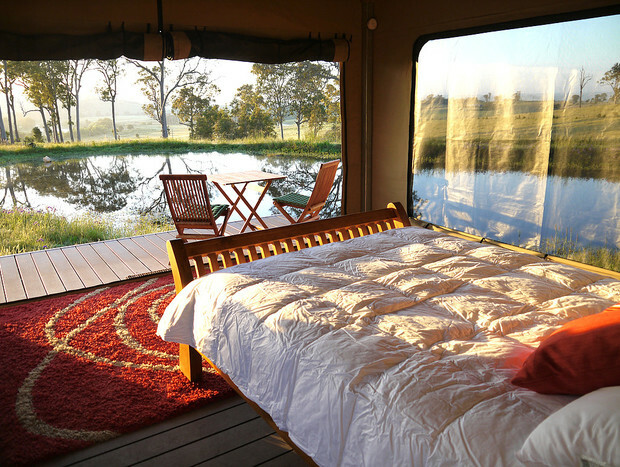 Enjoy the outdoors with the following equipment included in your stay. It was a lovely location however there were leaks in the tent in 2 places. As it rained during our stay, it made it an uncomfortable stay.